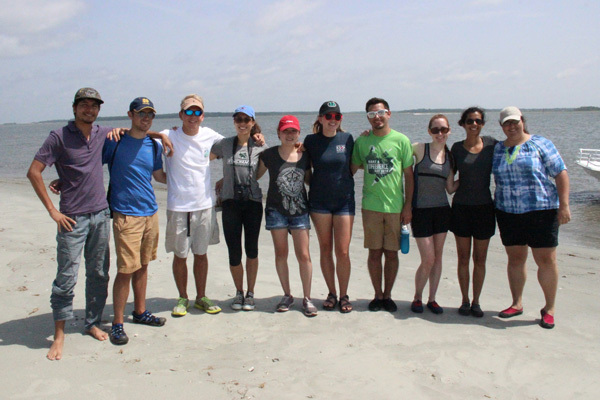 Each summer, college science students from around the country travel to the College of Charleston to participate in a one-of-a-kind marine science research program. 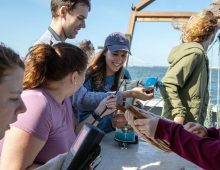 Students in the Fort Johnson Summer Undergraduate Research Program enjoy the use of top-notch marine science facilities located directly on the water. 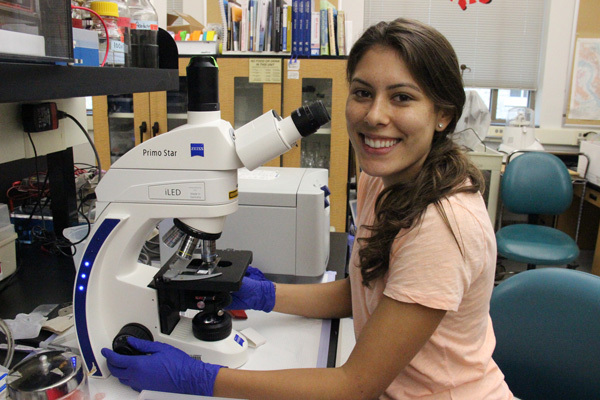 These undergraduate researchers have access to marine science laboratories, the Fort Johnson Marine Resources Library, animal holding facilities, and research vessels located at the College’s Grice Marine Lab and its partner institutions at Fort Johnson. 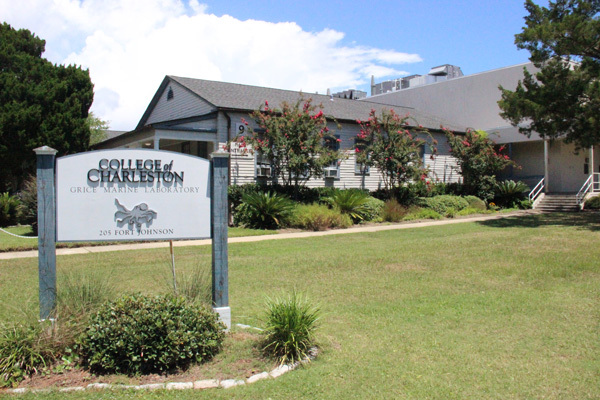 Fort Johnson is located just across Charleston Harbor, on James Island, South Carolina, eight miles from the College’s downtown campus. The 2015 slate of student researchers include, from left to right, Yoel Cortes-Pena, Bryce Penta, Jack McAlhaney, Nina Sarmiento, Alessandra Jimenez, Jessica Lowry, Aaron Baumgardner, Kaelyn Lemon, Sierra Duca, and Jimena B. Pérez-Viscasillas. Before arriving to Fort Johnson for the summer, students coordinate with a faculty mentor to choose their research focus. 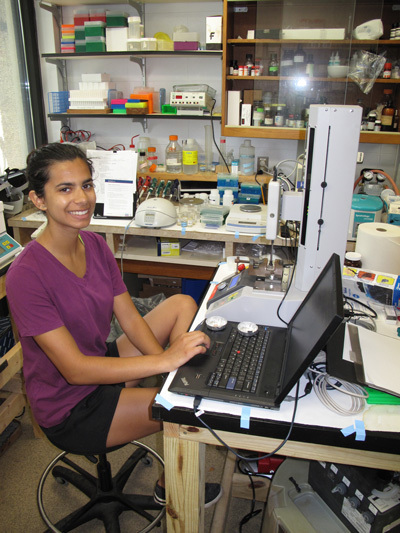 Listed below is a sample of three of the ten research projects being conducted in the summer of 2015, with all projects focusing on the program theme of “Marine Organism Health: Resilience and Response to Environmental Change.” (For a full listing of these research projects, visit the summer research program’s blog). I am learning how to preform toxicity tests on sea urchin sperm and embryos which involve an exposure period with sunscreen formulations and then evaluation of effects. I hope to investigate if the chemicals from sunscreens in the water can have negative impacts on coral reproduction. My work can potentially help create understanding of how humans are contributing to coral reef decline, and influence others to take action to protect them. 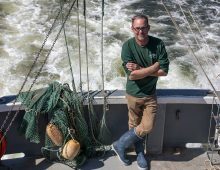 The only thing more pervasive than the constant thoughts of, conversations about, and stress from Gracilaria vermiculophylla in Dr. Erik Sotka’s lab is the invasion of this red alga that is occurring along the coasts of North America and Europe. After only a few short weeks in Charleston, I have seen how prevalent and successful this seaweed is. 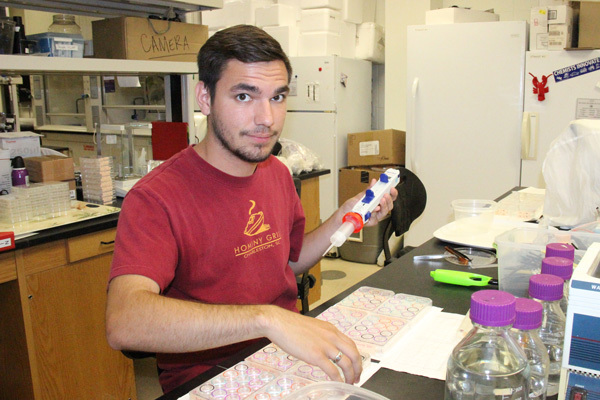 The Fort Johnson Summer Undergraduate Research Program is sponsored by the National Science Foundation and is administered by College of Charleston biology professor Bob Podolsky, who is also the director of Grice Marine Lab. Students enrolled in the program live in the dormitory at Grice Marine Lab and participate in a number of group events beyond their individual research, including skill-building workshops in professional ethics and the communication of science to professional and public audiences, as well as field trips to diverse estuarine habitats. 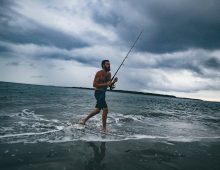 Students will present their summer research during a colloquium from 9 a.m. to 4 p.m. on August 5, 2015, within the MRRI auditorium at Fort Johnson (the auditorium is located across from the Grice Marine Lab, in a building operated by the S.C. Department of Natural Resources). Other student researchers will be presenting as well.